And thus through the error of circumstance I returned to Santiago two nights earlier than I originally intended. Whilst I wasn’t too thrilled about having to come back and suffer the trials and tribulations of driving in Santiago, I knew that I could get a few visits to wineries whilst there. As mentioned in my last post, I got the opportunity to meet Julio Bouchon Jnr. and his winemaker for a tasting of the J. Bouchon wines in their Santiago offices, and was also treated to a lovely dinner with my official Chilean host, Jaime Rosello. Jaime was again instrumental in me getting appointments for my final day in Chile, back again in the Maipo Valley. Over dinner I filled him in on the experiences I had further South whilst in the Colchagua, Curico, Maule and Cachapoal regions. At El Bacco where we ate, they also had Neyen by the glass, so I got to try the 2005 vintage, which interestingly tasted younger than the 2006. 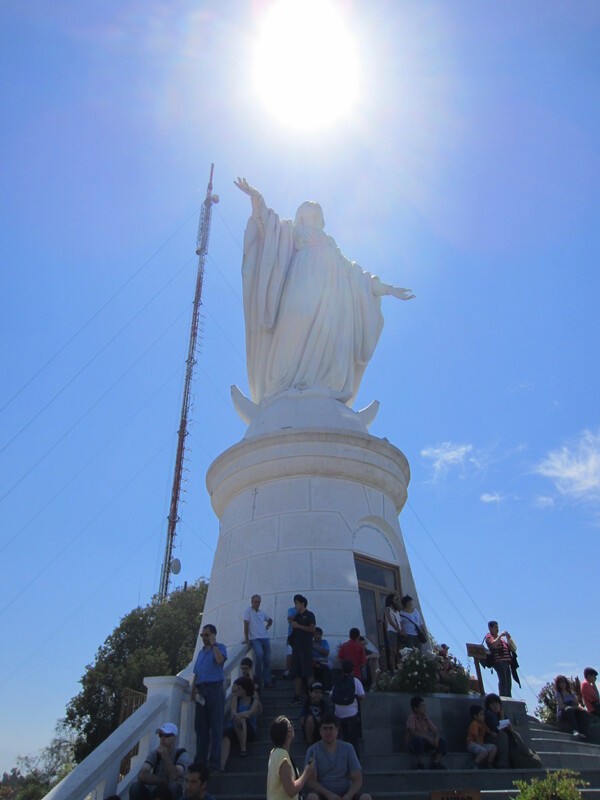 I will forever be indebted to Don Jaime for all of his generosity, time and connections for making my first trip to Chile so memorable. Perez Cruz in Alto Maipo, one of the newest wineries I visited in Chile, opened in 2002 with the first vintage release in 2003. The family who own the business are one of the wealthiest in Chile, and established the winery as a memorial to their father who passed away in the late 1980s, leaving the 11 children very wealthy. Thanks to their significant holdings in other industries, they have plenty of cash to invest into the wine business. The ultra-modern winery is very high-tech and well planned, but has already become too small for their fast-growing business. 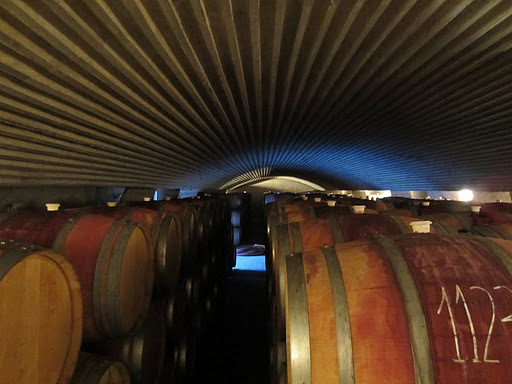 After less than ten years they have reached capacity, and have planted new vineyards on the estate (which will bear fruit to be used next vintage), and are completing a new cellar that will hold 500 barrels adjacent to the winery. The Alto (Upper) Maipo area is very close to the Andes so is slightly cooler than the valley floor. The main thing that I liked about Perez Cruz was they are operating in the Regional Model, whereby they are focussing only on the varieties that perform well in the immediate area. For Maipo this is undoubtedly reds, particularly Bordeaux varieties. They only produce seven wines, all red, using only five varieties (currently). Naturally as it is the Maipo Valley, the most dominant variety is cabernet sauvignon, particularly as the Reserva Cabernet Sauvignon accounts for 80% of their production. The wines they produce are definitely in the ultra-premium category, with no wine retailing for less than US$10. Click here to read my tasting notes. Less than 2km down the road on a very indistinct road, with no sign, was Antiyal. Two missed turns meant it took 30 minutes when it should have taken 10. I was greeted by Pablo the operational winemaker, who introduced me to the history and philosophy of the business. Antiyal was established by the king of biodynamic viticulture in Chile: Alvaro Espinosa. Consulting to numerous wineries across the country including Emiliana, he previously worked for Concha y Toro. 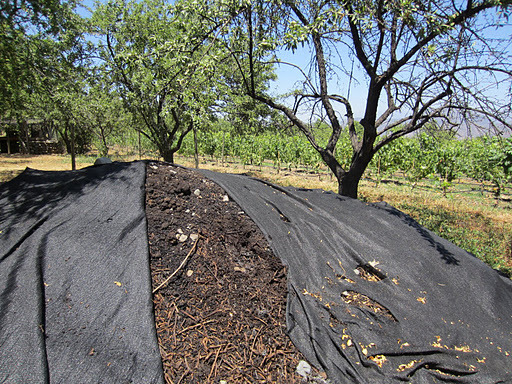 After spending a year at Ceago in Mendocino (click here to read about my visit there), he returned to Chile to introduce biodynamic practices. Establishing Antiyal (which in the native Mapuche means son of the sun) in 1990 to be completely biodynamic, it is a meticulously planned estate. Almond trees separate most of the blocks, weeds are allowed to grow naturally, a vegetable garden, animal pens and natural flora and fauna are encouraged. 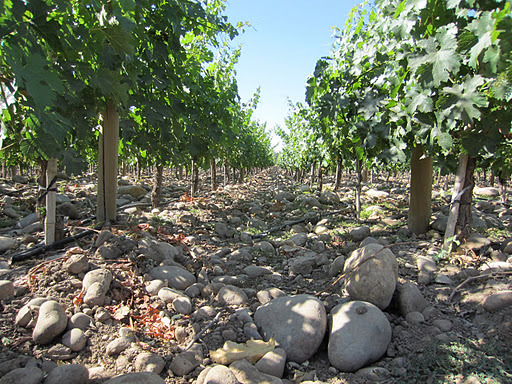 Understanding the nature of the climate and the soils, only cabernet sauvignon, carmenere, syrah, and petit verdot were planted on the estate. These along with fruit from their other organic vineyards make up two of the three wines. Walking around the estate and actually seeing the many elements of biodynamic viticulture in practice was amazing, and I learnt a lot just observing and feeling the difference. Keep in mind, that the Antiyal wines are super-premium, a category which constitutes less than 1% of Chilean wine. Click here to read my notes from the tasting. The final visit for the day (and for Chile), was to the ultimate icon winery of Chile; Almaviva. You may remember my first visit in the Napa Valley was to Opus One, a joint-venture project between (then) Robert Mondavi , the largest wine business in North America, and the Rothschild family of Bordeaux (click here if you’ve forgotten). Well, back in 1997 they made a similar partnership with the largest wine business in South America, Concha y Toro. In both cases the goal was to create the ultimate expression of terroir, and a true icon wine for the continent, using the experience and expertise from Bordeaux. Naturally in both cases the wine is based on the Bordeaux method (a blend of cabernet sauvignon and other Bordeaux varieties), as is the winery, modelled after the famous Chateau Mouton-Rothschild. Use of the finest equipment and techniques, coupled with exquisite assemblage is the consistent theme; however the wines are quite different. 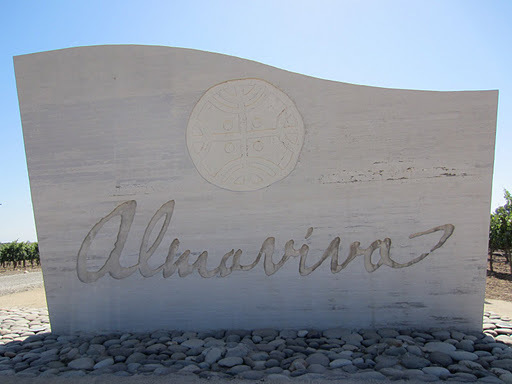 The Almaviva winery makes only one wine each year, not unlike Opus One, Neyen and Clos Apalta. As the winemaker for the ultimate expression of Chilean wine, I was quite honoured to have the opportunity to have a private tour and tasting with Michel Friou. Originally from Nantes, France and studying at Montpelier, Michel gained experience with Chilean Bordeaux blends at Casa Lapostolle for many years, as well as experience in working for a French-owned winery outside of France. Whilst the Almaviva winery is not as impressive as the Clos Apalta from an architectural perspective (few wineries would be), it is just as functional and a lot less ostentatious. The practices employed are obviously premium in nature, so I won’t bother you with all the details as you’ve probably heard it before. One of the interesting things Michel has started to do since starting in 2007 was to pull back on the oak, no longer using 100% new barrels. There has also been some significant investment in the vineyard since he started, combining irrigation systems and planting merlot to add to the blend. Click here to read my notes on the three vintages I tasted. Click here to see more photos from the Maipo Valley Day Four.